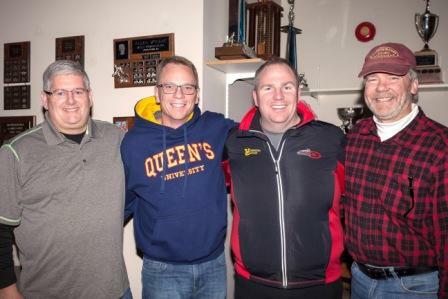 Shelley won the Ontario Police Curling Provincials under team Heasman. 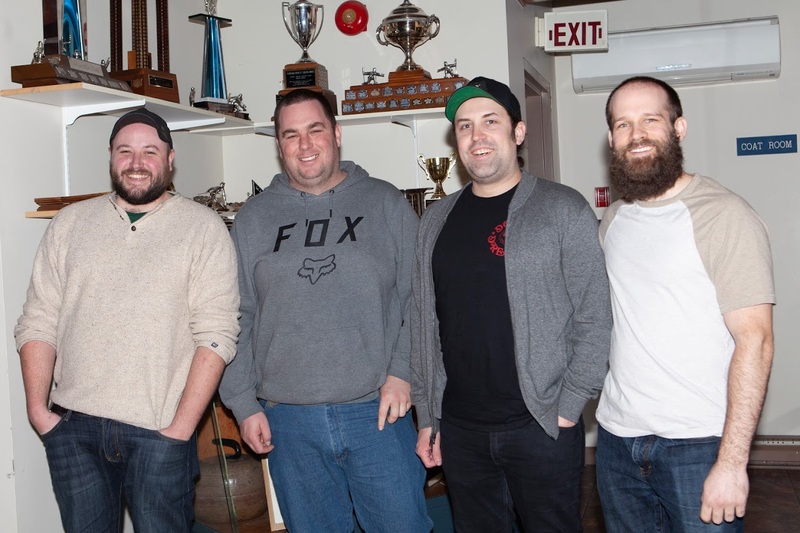 They representedOntario at the National Canadian Police Curling Championships in St John’s NFLD from March 29 to April 7th. They ended with a 5-6 record. April 10th to April 14th. E-mail Nanci if you would like to attend! 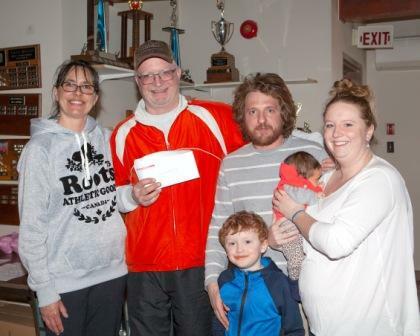 Click on the following link to get a copy of the draw. 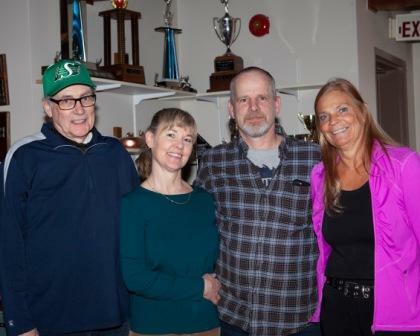 And the following link for some photos from the event. 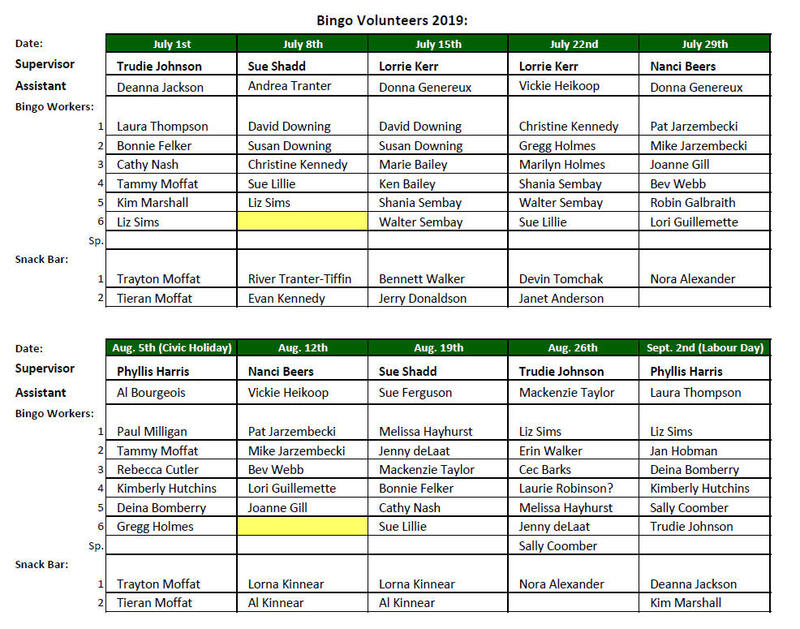 and the calendar page for important dates. 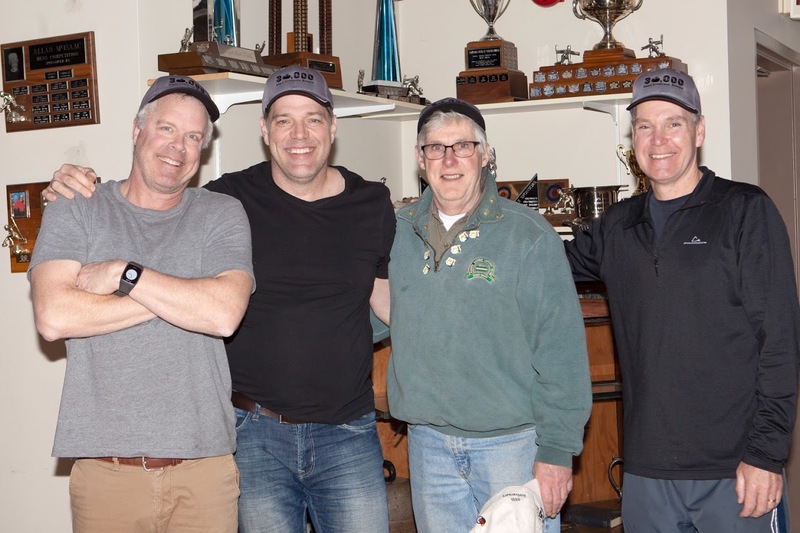 The Harry Duncan Bonspiel 2019 was a great success once again! 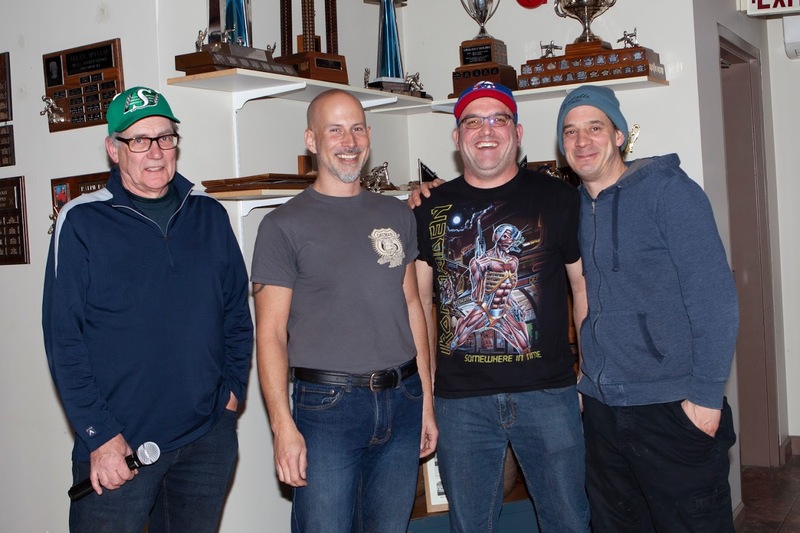 Thanks to Dennis Basket for being our drawmaster again this year. 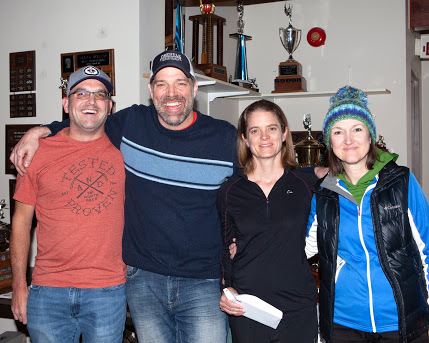 The winning teams are pictured here. 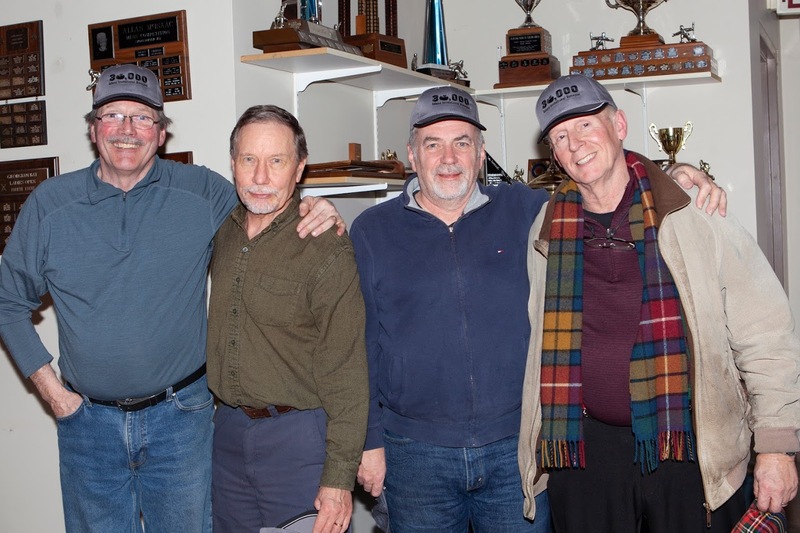 For other photos from the event , just click on the following link. 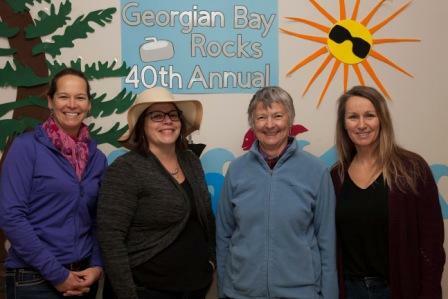 Link to photos from the event. 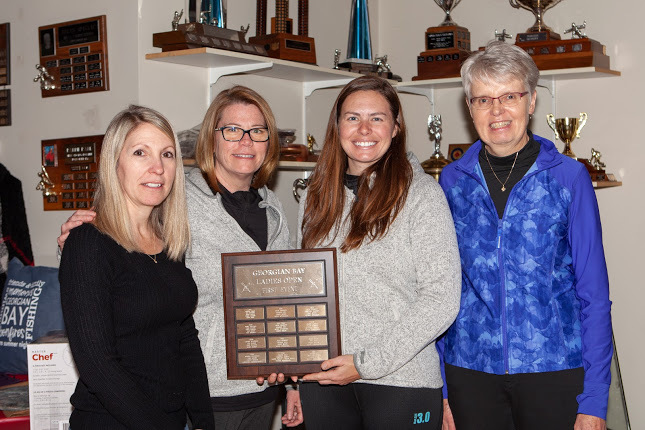 The Georgian Bay Ladies' Open was on Nov. 16-18, 2018. Photos are now available. Click on the following links. 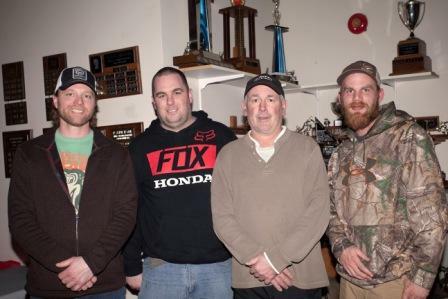 Photos are available using the following link. 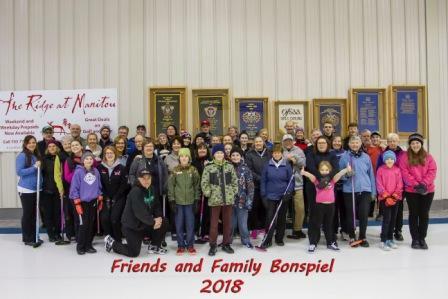 The Friends and Family Spiel was on Feb. 10, 2018. 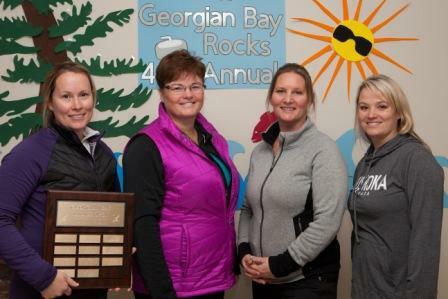 The Georgian Bay Ladies' Open was on Nov. 17-19, 2017. 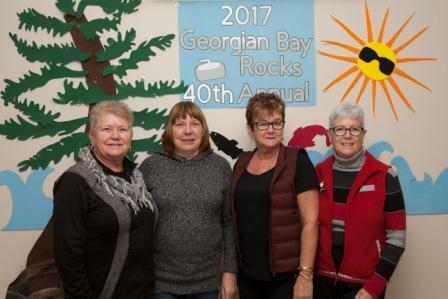 On November 17th to 19th, 2017 the Club was pleased to host 24 teams in the 40th annual Georgian Bay Ladies Open. 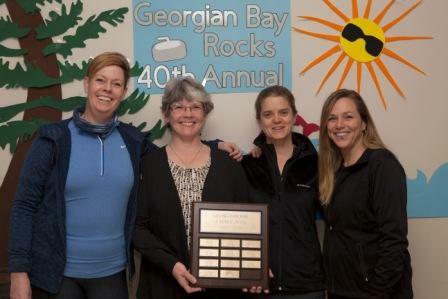 It was a weekend of great curling and lots of fun partying to the theme of Georgian Bay Rocks! 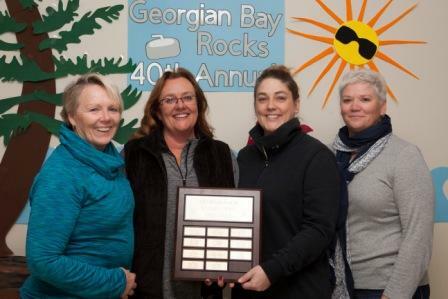 Canada Brokerlink, sponsor of the 1st event was won by the local team of Joanne Gill, Rebecca Cutler, Cheri Sidon and Wendy Schroeder. 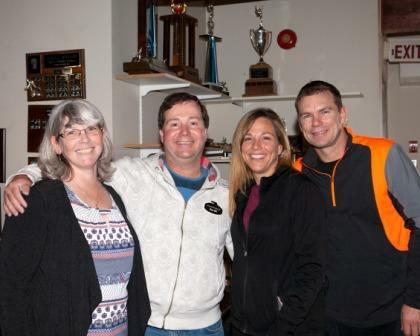 It was a great game against Parry Sound's Julie Truscott. 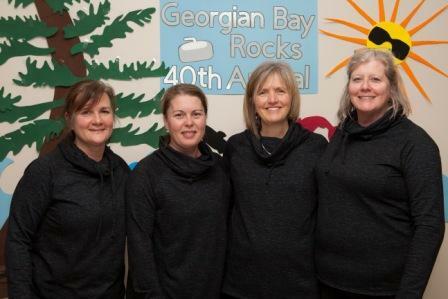 Kana Upton, Bev Webb, Shari Phillis and Robin Galbraith. 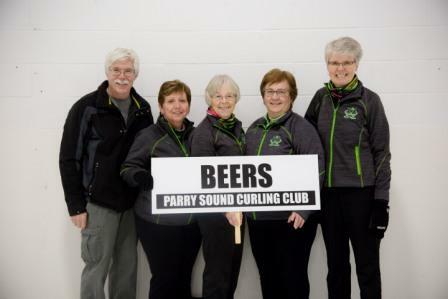 They were victorious over the Nancy Raynor team from Bracebridge. 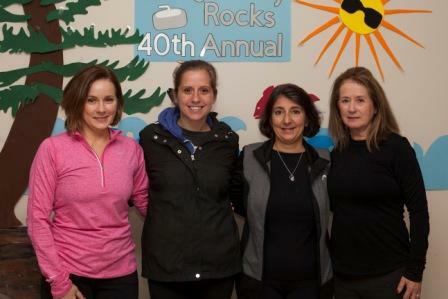 Sandra Villeneuve, Lisa Moore, Pam Nelson and Audrey Milligan rink. 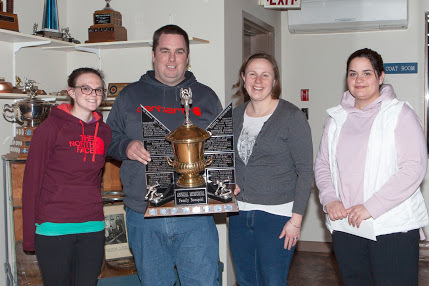 They took the win from the Nan Cleator rink from Bracebridge. 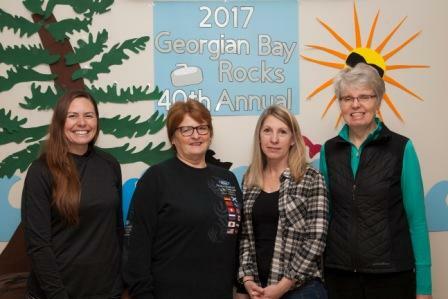 The 4th event winners, sponsored by Ritchie Insurance were Sandy Gardiner, Lori West, Sarah Randall and Kerry Venturelli from Bracebridge. 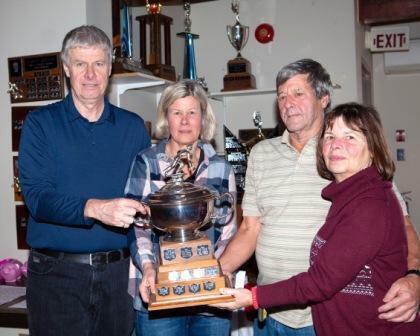 They won over the Alicia Shody rink from Cambridge. 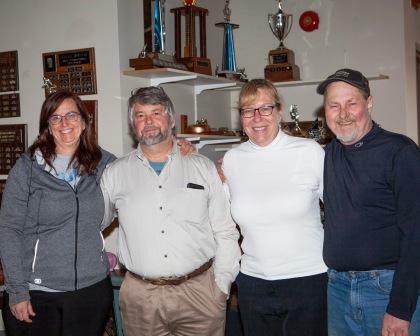 The bonspiel wouldn't have been successful without our generous sponsors and many volunteers. Thank you and see you all at the 41st event next November. 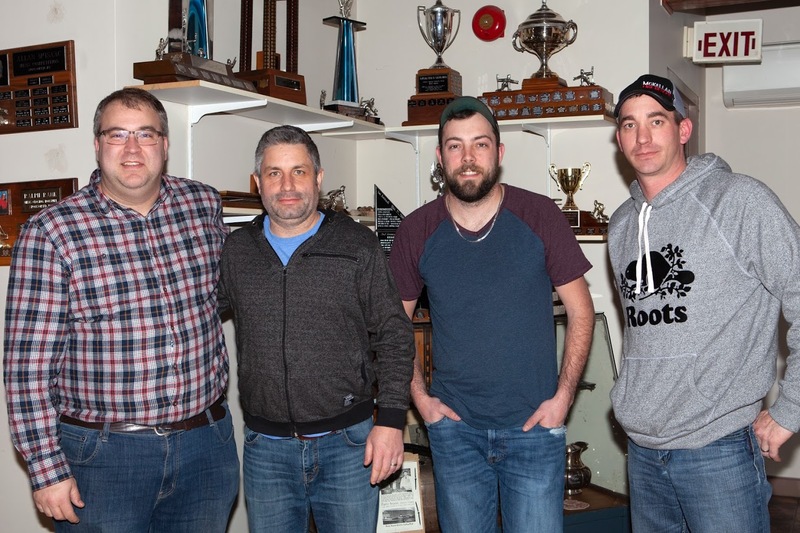 The 30,000 Island Invitational Spiel was on Jan. 11-13, 2018. 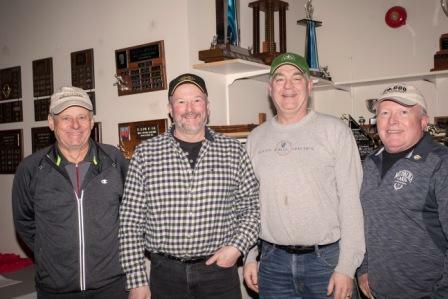 PSCC hosted the 63rd 30,000 Island Men's Invitational Bonspiel on Jan 11th, 12th and 13th, 2018. 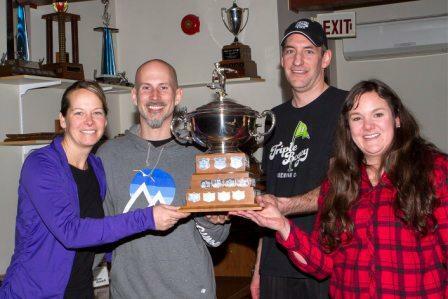 A total of 40 teams participated, 20 local teams and 20 out of town teams. 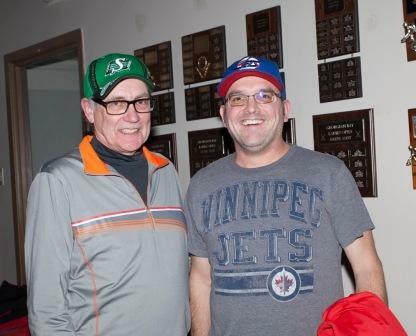 As per tradition, the Home teams home-hosted their counterparts on Thursday night following the first games. 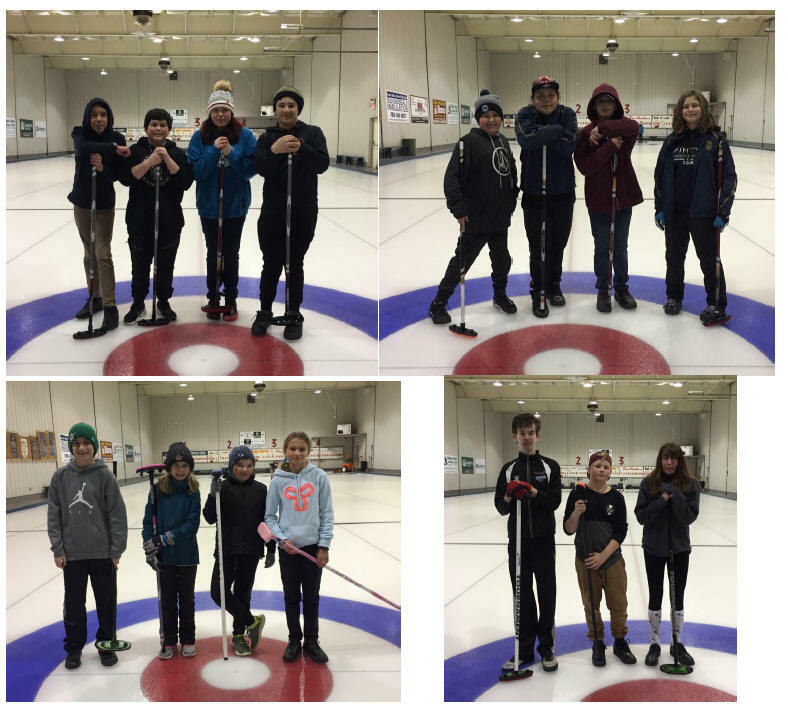 Friendships were renewed and some great and sometimes not great curling ensued for the next 2 days. 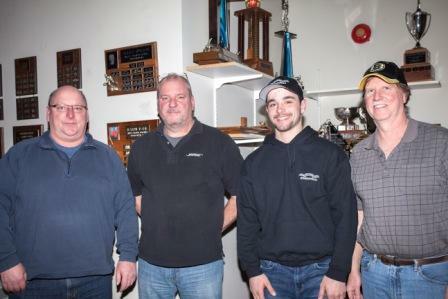 Home town Team Logan took top honours winning the overall Championship over Team Bob Armstrong from Ingersoll. 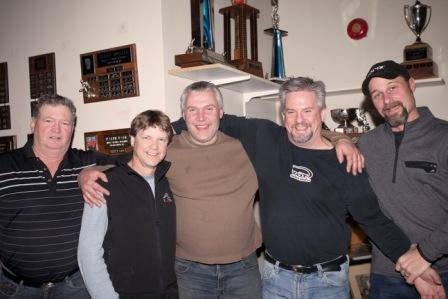 It took a draw to button with Hugh's last shot in the 8th end to cement the win! 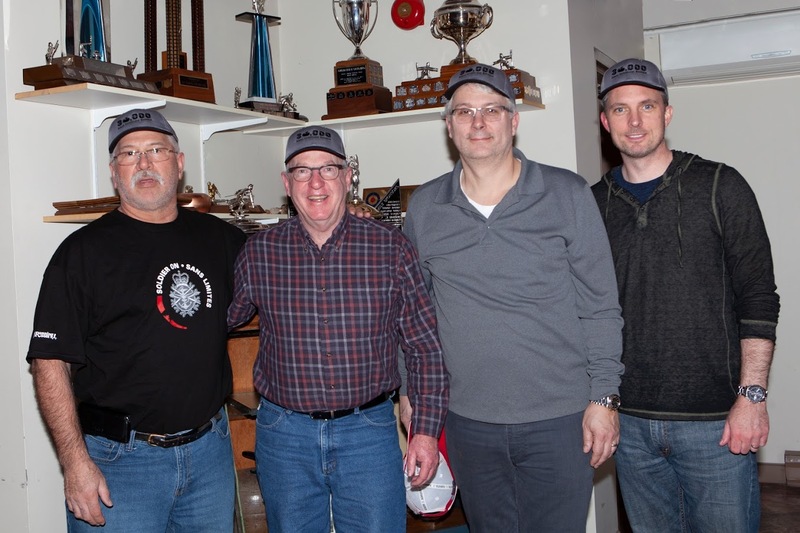 The championship team was skipped by Hugh Logan with Vice Marc Dunnill, 2nd John Patterson, Lead Bill Webster and 5th Tim Graves. 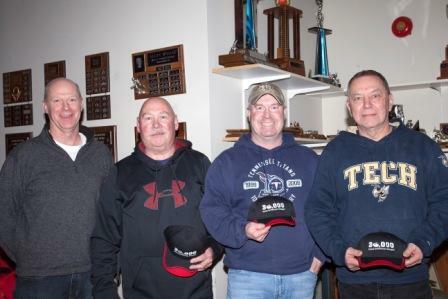 The 2nd Event was won by Marc Townes team from Elmvale over Ron Marshall Team from Parry Sound. 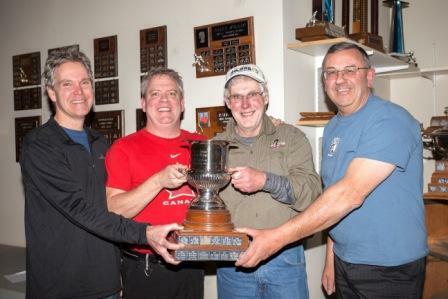 The 3rd Event was won by Team Vautier from Huntsville over Team Burgess skipped by Steve Smith from Parry Sound. 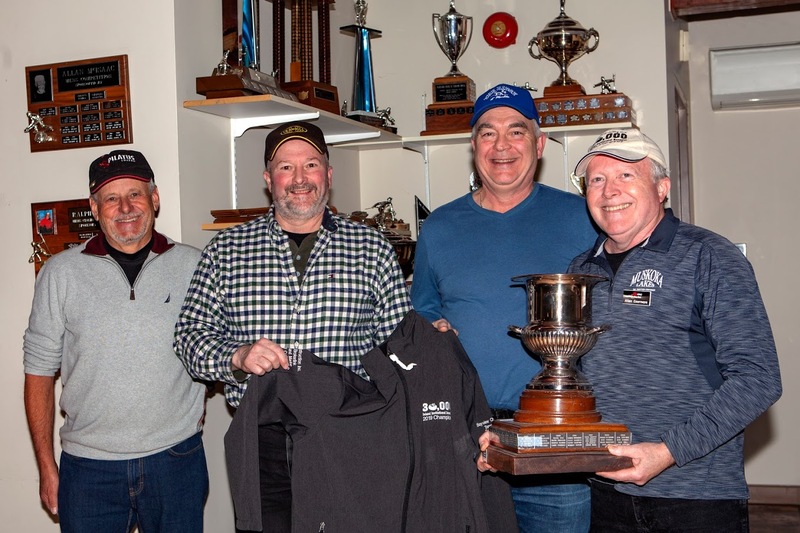 The 4th Event was won by the Steve Holmes rink over the 2017 Champions Dan Hill team in an all Parry Sound Event. 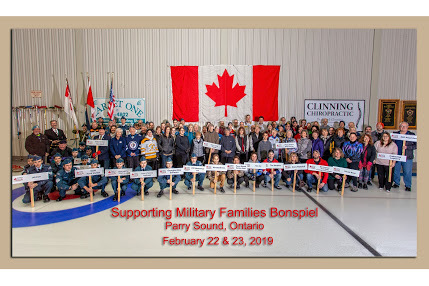 Many thanks to our sponsors and all the Volunteers who made this a successful Event. 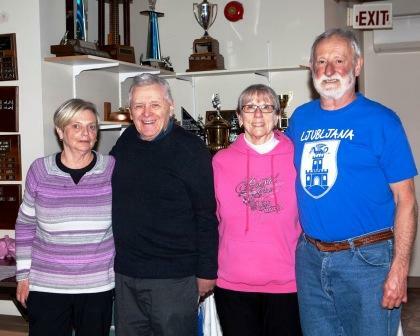 Provincials in St. Mary's on Jan. 10 - 14th. 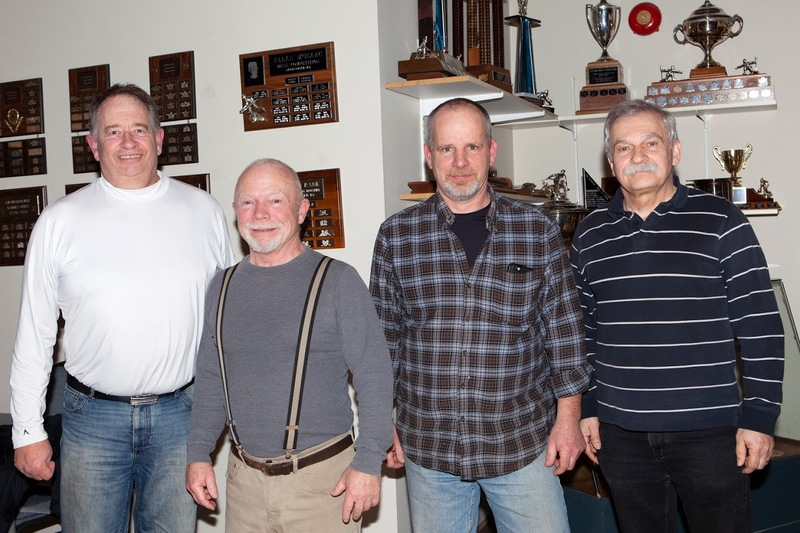 The team finished with a 2-5 record. Jr. 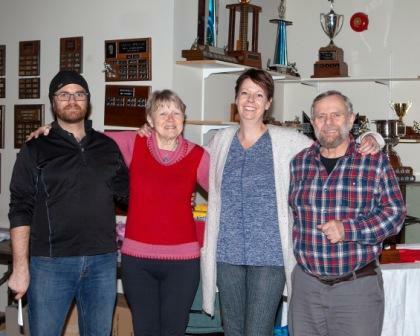 Curling purchased 2 new First Aid Kits for the club. They are stored in the downstairs kitchen. If members need to use the kit, could they please return tools like scissors.